The Marin City Master Plan for a 45-acre Mixed-Use Community features 255 mixed-income apartments, 85 townhomes, and an 185,000 S.F. Retail Center. 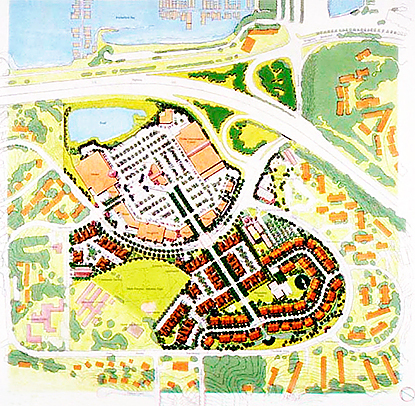 This development master plan is surrounded by residential neighborhoods, parks, and rehabilitated wetlands, and is served by a bus transit station.